Food allergies, sensitivities or intolerances can play havoc with a child’s ability to benefit from teaching. Before we go into this, let’s clarify what causes food (and environmental) allergies and sensitivities. Genetics seems to be an important factor in the risk of developing allergies. 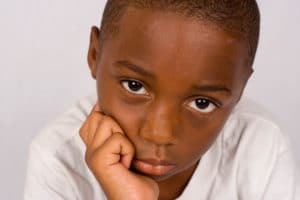 It seems that children with (true) ADHD who have food allergies are also likely to have parents with similar problems. Nutritional factors are also significant for the development and severity of all forms of allergy. When a child has less than adequate nutrition, his immune system cannot function as it should and is more likely to misfire when faced with various stressful elements in the digestive system. For example, children with deficiencies of omega-3 are more likely to suffer allergies; deficiencies in magnesium and zinc are also know to promote allergic responses. The overall quality of the diet may also play an important role. Too much processed, stale, chemically altered or nutritionally depleted foods may well promote an allergy. Another factor is toxicological stress. Children who are regularly exposed to pesticides that are toxic to the immune system, heavy metals (lead, mercury, cadmium), plastic residues and solvents may be more prone to allergies. Developmental markers may also play a role. Breastfeeding may significantly reduce the risk of later developing food allergies. Ideally, babies should be breast fed exclusively until at least six months of age – longer if possible. The reason for this is that a young infant’s gut is naturally leaky and for a good reason. Large molecules, for example the antibodies in the mother’s milk, can cross through the gaps to enter the baby’s bloodstream to protect her from infection while her immune system is still immature. This is a vulnerable time and if other molecules enter the blood, the developing immune system may see them as threatening and becomes non-tolerant of them. This is exactly why mothers are encouraged to not only breastfeed but to carefully and slowly introduce solid foods one food at a time, starting with foods least likely to generate an allergic response. This ‘educates’ the baby’s immune system and helps the body develop a tolerance towards each food as it is introduced. Intestinal parasites are worth a mention as well as they may also cause upsets in the digestive system and underlie the emergence of allergies. For this reason, regular treatment is advised for the whole family and not just for the fur children! Non-food allergies such as hay fever can raise the severity of food allergies. If these types of allergies are particularly active in some months of the year, such as Spring, pre-existing food allergies may become more predominate at the same time. When the immune system is not involved in a child’s reaction to foods, we refer to them as having a food intolerance. Knowing the difference is important because it will impact on the success of treatment. The most frequent reason behind food intolerance is inadequate digestion of particular nutrients. Lactose, or milk sugar, is probably the most common example of an intolerance due to digestive difficulties. Take a long, serious look at your child. Sometimes allergies and food intolerances show up in his or her physical appearance. Some children can show a characteristic ‘spaced out’ or even an almost ‘demonic’ look when they suddenly become impossible. These looks can sometimes be accompanied by sounds such as throat clearing or clucking. This last noise is typical of a dairy or milk sensitivity. Some slur their words or begin to speak very rapidly. A few children whine or repeat the same phrase over and over. In addition, they may develop a hoarse voice or red ears or cheeks after exposure to a certain food or chemical. Other signs include dark rings under the eyes, which can be grey, black, blue and even reddish. Nose rubbing, skin-scratching, wriggly lets, small horizontal wrinkles under the eyes and facial twitches and tics are very common in some children. Abnormally rosy cheeks are particularly characteristic of allergic children between the ages of two and four years (and of adult women who have multiple food or chemical allergies). Some children show hives, which look like mosquito bites or more generalized rashes. And lastly, a bloated or abnormally large abdomen may also be a sign of problems – not always of a food allergy or intolerance but possibly of a yeast infection or parasites in the gut. Next week we’ll continue this theme and describe the behaviours that so often accompany food intolerances – and are mistakenly thought to be ADHD, oppositional or even defiant behaviour caused by mental disorders.